Where Have All the Dead Birds Gone? The other day we decided to beat the winter blahs by taking a “staycation” at the Prince of Wales hotel in Niagara-on-the-Lake. An afternoon by the pool followed by an evening of dining and cocktails seemed like a good little pick-me-up at this point in the winter. As we were lounging by the pool I couldn’t help but notice that one of the images decorating the area was a reproduction of Edwin Landseer’s famous image of Queen Victoria and Prince Albert, Windsor Castle in Modern Times (1840-43). I’m a big fan of Landseer’s work, so strolled over to take a closer look as I made my way from the salt water pool to the hot tub. Sir Edwin Landseer, Windsor Castle in Modern Times; Queen Victoria, Prince Albert and Victoria, Princess Royal, 1840-43, oil on canvas. “Have a closer look,” a woman in the pool called out to me. “What do you think the little child has in her hands?” I knew without looking that young Victoria (Queen Victoria and Prince Albert’s oldest child) was holding a dead bird in her hands, but I didn’t want to seem like that kind of art historian. To be polite I walked closer to look at that section of the painting and that is when I was startled to discover a rather glaring omission from this reproduction. In Landseer’s original painting there is a row of dead game birds laid out next to young Victoria and a few more on the floor in front of Prince Albert’s feet. Prince Albert’s clothing (including those oh-so-tight trousers showing off every detail of his kneecap!) tells us that he has just returned from hunting, so the inclusion of this detail makes sense. Further, the juxtaposition of the very dead birds with the animated and life-like dogs is just the kind of thing that Landseer, one of the most celebrated animal painters in the history of art, is known for. At the Prince of Wales hotel, however, all of the dead birds except for the one that young Victoria holds are missing. I can only assume that this was done to make this modern day replica somehow more palatable to hotel patrons. I’ve looked up other replicas of this Landseer painting available for sale, and in all the ones I can find the dead birds remain part of the composition as the artist intended. Detail of the replica of Landseer’s painting at the Prince of Wales hotel in Niagara-on-the-Lake, Ontario. Photo taken February 2019. I’m still mulling over why this would be done. This is not an establishment nor a town that is known to be particularly sensitive towards animal issues. Indeed, the use of carriage horses as part of the tourism industry in this town often draws protests from local activists. Further, I would say that Niagara-on-the-Lake ranks pretty low in terms of vegan-friendly dining in the region — indeed, a glance at the menu of the Prince of Wales hotel, the very building where this altered replica of this image hangs, indicates an establishment that prides itself on the various high-end meat dishes it serves (including, rather ironically, a smoked duck breast dish). In 1773 Anna Laetitia Barbauld published a poem called “The Mouse’s Petition.” The poem was written from the point of view of a mouse who had been captured in the home of Barbauld’s friend, the renowned natural philosopher Joseph Priestley. The mouse was placed in a cage in Priestley’s laboratory as he intended to use the animal in one of his experiments the next day. Barbauld’s poem was a plea for mercy, and she slipped in to Priestley’s lab to affix it to the cage so that he would see it prior to beginning his experiment on the mouse. 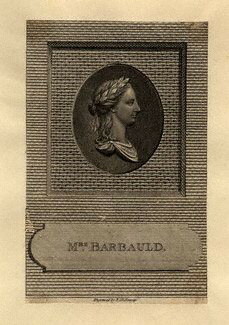 Priestley reportedly released the mouse after reading Barbauld’s poem. 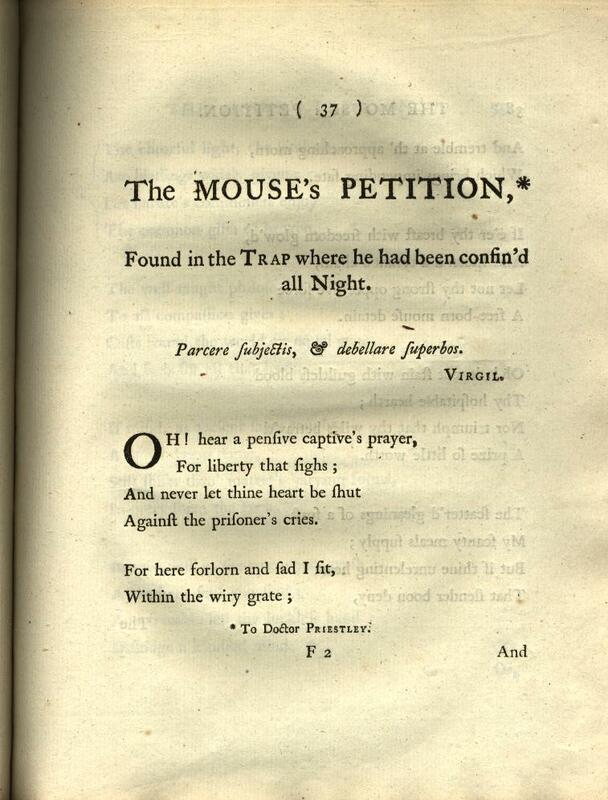 Many of Barbauld’s contemporaries championed “The Mouse’s Petition” as an important contribution to the conversations about cruelty to animals that were taking place in the 18th century. 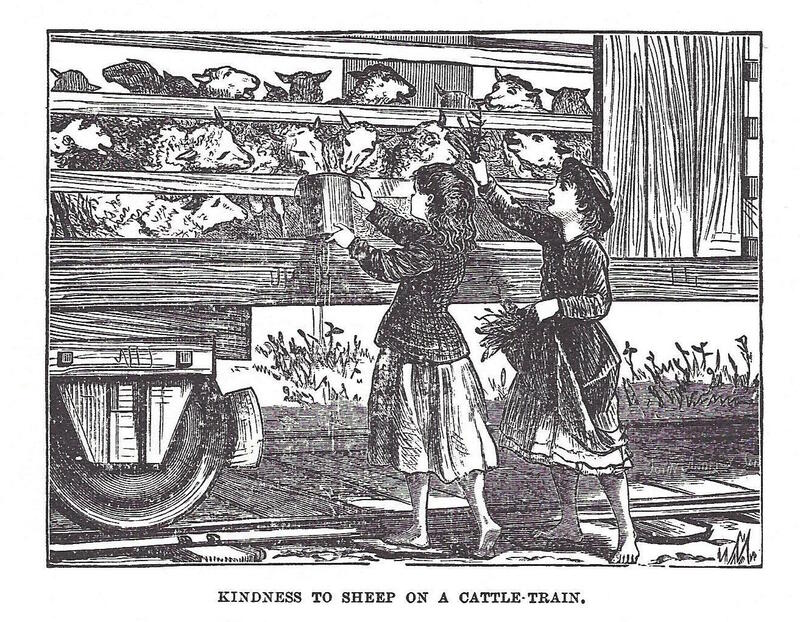 Samuel Taylor Coleridge, for example, noted that “thanks to Mrs. Barbauld,… it has become universally fashionable to teach lessons of compassion towards animals.”* Barbauld later stated that this poem was actually meant to be a “petition of mercy against justice.”* In either case “The Mouse’s Petition” is an important early example of a creative work that prompted readers to empathize with nonhuman animals and to consider the often unjust ways they are treated. *See Mary Ellen Bellanca, “Science, Animal Sympathy and Anna Barbauld’s ‘The Mouse’s Petition.’” Eighteenth-Century Studies 37 no. 1 (Fall 2003): 47-67; Julia Saunders, “‘The Mouse’s Petition’: Anna Laetitia Barbauld and the Scientific Revolution.” The Review of English Studies 53 no. 212 (November 2002): 500-516.